Ghanaian judoka Szandra Szogedi has lost to home favourite Mariana Silva in the women’s 63 kilogrammes judo competition, this afternoon, at the ongoing 2016 Olympic Games in Rio de Janeiro, Brazil. 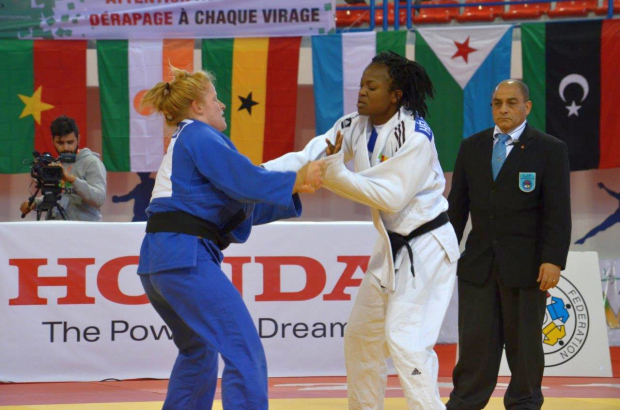 AlthoughSzandra made history as Ghana’s first female judokatoparticipate in the Games, she was unable to overpower her Brazilian opponent during their contest.The 27-year-old was born in Budapest to Hungarian parents but switched nationality after marrying a Ghanaian engineer. She first competed for Ghana five years ago and she qualified for the Games last May in Kazakhstan.Szandra, a member of Ghana’s 16-person contingent for the Games becomes the second Ghanaian casualty at the 2016 Olympics after 14-year-old swimmer Kaya Forson got eliminated, yesterday. However, Forson recorded her personal best.